Why are System Integrators So Hyped About the IoT? Enterprise/Industrial IoT (IIoT) systems with global scale, legacy sub-systems, cloud services, connected edge-devices, Fog Computing concepts, and OT/IT alignment present a new challenge in terms of interoperability, end-to-end performance and security. So who will deliver them? Of course if everything were plug-and-play (PnP) out-of-the-box, we wouldn’t have a problem. But anyone who remembers connecting a printer to a PC back in the 1980s knows that PnP takes time to arrive. So for the foreseeable future, how will IIoT systems be implemented, deployed and maintained? Step forward the systems integrator. One aspect of the IIoT that hasn’t been well publicized is the huge opportunity it represents for systems integrators. But it’s no coincidence that Accenture, PwC and many other IT and OT services companies are producing optimistic reports about the impact of the IIoT. IIoT-related consulting services are a huge opportunity for them now, and over the next decade the market for IIoT systems development, deployment and evolution will be huge. The vast majority of IIoT systems will include data sources and sinks (sensor networks, edge devices, brilliant machines, proprietary sub-systems, etc.) from both legacy (brown field) and new sub-systems. In effect, IIoT systems can be regarded as an overlay on existing OT and IT systems that complements them and adds new business value through: incorporating new connected devices, supporting distributed analytics, leveraging the Internet and cloud services for global scale and mobility, facilitating enterprise OT/IT alignment, enabling supply-chain optimization and more. Analysts IDC recently identified that over 30% of any IIoT system’s cost will be related to services (consulting, design, application development, integration, deployment, maintenance, etc. ), so the IIoT is a massive opportunity for all the flavors of systems integrator. IIoT enabling technologies such as connected devices, data-connectivity platforms, and cloud services are coming to market at a rapid pace but it will be some time before IoT nodes PnP with each other through self-configuration (don’t hold your breath). 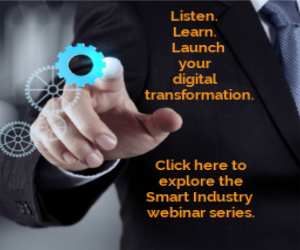 Until then, systems integrators are right to be investing heavily in marketing their IIoT business cases, consultancy and implementation resources. Their opportunity is 30% of a multi-trillion-dollar market. Steve Jennis is the Senior VP of Corporate Development for PrismTech and a member of theAdvisory Board and Program Committee for the Smart Industry Conference and Expo. PrismTech is a provider of system solutions for the Internet of Things, the Industrial Internet and advanced wireless communications. Learn more about their Vortex intelligent data-sharing platform at www.prismtech.com/vortex.